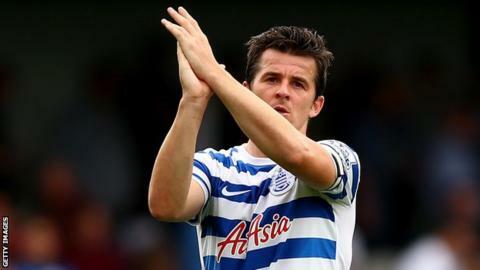 Queens Park Rangers midfielder Joey Barton has criticised English football coaching, adding that the sport has its head "stuck in the sand". Barton, 32, spent a season on loan at Marseille, and says his experiences in France have changed his attitude towards coaching methods in England. Speaking to the Times (subscription required), Barton said: "Coaching-wise, I don't believe the bar is set high. "How many top-class English coaches are there? A handful, maybe?" He added: "I really worry for the state of English football. It has got its head stuck in the sand." The former Newcastle United and Manchester City player says he could get into coaching, but only once his football career is over. Barton cites British cycling coach Sir Dave Brailsford and England's Rugby World Cup-winning coach Sir Clive Woodward as key influences. He added: "In France we trained with circadian rhythm, which means that if we had a game at 8pm we would train in the evening for two or three days before that so our bodies were ready for it. "What time do we play in England? 3pm, mostly. What time do we train? 10am. "So for five days you're resting at 3pm and then on the sixth day you have to shock your body into action. It's mad."